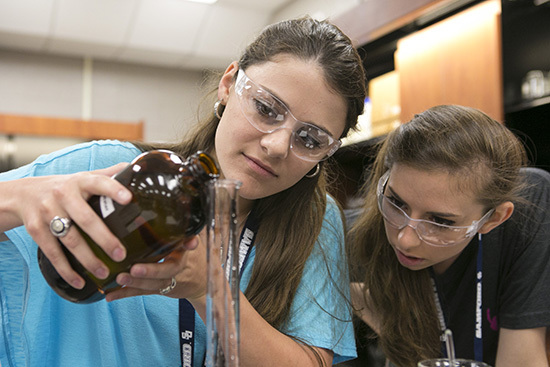 Applications for Samford University’s McWhorter School of Pharmacy Bulldog Pharmacy Camp are due Feb. 16. The overnight camp will be held June 21 - 26, 2015 and is open to rising high school juniors and seniors, as well as college freshmen interested in careers in pharmacy. Throughout the week, students will participate in hands-on pharmacy lab demonstrations and unique service projects, and will have the opportunity to tour local pharmacies and health-care facilities. Students also will learn about prepharmacy courses, interview techniques, resume tips and other information necessary to successfully prepare for and apply to pharmacy school. In addition to pharmacy labs and demonstrations, students will experience campus life and participate in fun activities around Birmingham, including a Birmingham Barons baseball game, bowling and a movie. In addition to an online application, students must submit an official high school transcript including SAT/ACT scores, a letter of recommendation from a math or science teacher and a $100 nonrefundable deposit. For more information, please call 205-726-2008, email pharmacycamp@samford.edu or visit the camp’s website.